This article is about the extant road encircling Central London. For other uses, see London Ring Road (disambiguation). The congestion charge employed to apply to drivers within the London Inner Ring Road. The London Inner Ring Road, or Ring Road as signposted, is a 12-mile (19 km) route with an average diameter of 2.75–5.5 miles (4.43–8.85 km) formed from a number of major roads that encircle Central London. The ring road forms the boundary of the London congestion charge zone, although the ring road itself is not part of the zone. Starting at the northernmost point and moving clockwise, the roads defining the boundary are Pentonville Road, City Road, Old Street, Great Eastern Street, Commercial Street, Mansell Street, Tower Bridge, Tower Bridge Road, New Kent Road, the Elephant & Castle, Kennington Lane, the roads that constitute the Vauxhall Cross one-way system and Vauxhall Bridge, Vauxhall Bridge Road, the roads that constitute the Victoria one-way system, Grosvenor Place, Park Lane, Edgware Road, Old Marylebone Road, Marylebone Road and Euston Road. The route is described as the "Inner" Ring Road because there are two further sets of roads that have been described as London ring roads. The North and South Circular Roads together form the second ring road around London, averaging 10–15 miles (16–24 km) in diameter. The M25 motorway is the outermost road encircling the metropolis, at an average diameter of 40–50 miles (64–80 km). Plans for an Inner Ring Road were put forward by Patrick Abercrombie in the 1940s, in the County of London Plan. City Road, part of the Ring Road. The green sign indicates that traffic should head straight on to remain on the Ring Road towards Shoreditch. A501 (from Paddington station to Moorgate via Kings Cross, along City Road, Pentonville Road and Euston Road). It formed part of the historical New Road. Construction of the New Road from Paddington to Islington began in 1756 to relieve congestion in the built-up area of London. At that time the districts of Marylebone, Fitzrovia and Bloomsbury were on the northern edge of the city, and only the southern parts of them had been built up. The New Road ran through the fields to the north of these three neighbourhoods. The road is now one of the busiest main roads in the city. It runs from Edgware Road in the west to Angel, in the east. After being renamed in 1857, the western section between Edgware Road and Great Portland Street is known as Marylebone Road, the central section between Great Portland Street and King's Cross is known as Euston Road, and the eastern section from King's Cross to The Angel is called Pentonville Road. City Road was constructed in 1761 to continue the route eastwards to the northern edge of the City of London. Pentonville Road runs west to east from Kings Cross to City Road. By far the greater portion of the road is in the London Borough of Islington but a small part near Kings Cross is in the London Borough of Camden, including an entrance to King's Cross St Pancras Underground station at the former King's Cross Thameslink station. It acquired its present name in 1857. There are several halls of residence located on Pentonville Road, these being Dinwiddy House (SOAS), Paul Robeson House and Nido Student Living. There are two green spaces along the road – Joseph Grimaldi Park and Claremont Square, the latter however is not open to the public. This street is distinguished by the "set back" housing lines originally intended to provide an atmosphere of spaciousness along the thoroughfare. 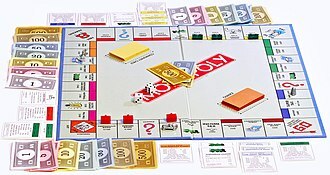 It is one of the locations on the UK version of the Monopoly board game, which features areas native to London. Pentonville Road is one of the many London place names mentioned in the song "Transmetropolitan" by The Pogues. Mansell Street is a short road, part of the A1210 route (though sometimes shown as being the A1211), which for most of its length marks the boundary between the City of London and the London Borough of Tower Hamlets, though the southernmost part is entirely in Tower Hamlets. It runs from Aldgate southwards to the Tower of London. The northern part, north of the junction with Goodmans Yard and Prescot Street, has one way northbound traffic, while the southern part has one way southbound traffic. Tower Bridge Road is a road in Bermondsey in the London Borough of Southwark, UK, that runs north to south, and connects the Bricklayers Arms roundabout and flyover at its southern end (New Kent Road and Old Kent Road) to Tower Bridge and across the River Thames at its northern end. It also links to Long Lane. The road has an abundance of antique (or junk) shops along part of its length. There is also Bermondsey Square which holds an 'antique' market every Friday morning, usually known as Bermondsey Market, though officially as New Caledonian Market. Towards its southern end are a collection of shops, pubs and takeaways. Kennington Lane is an A-road (classified A3204) running between the Elephant & Castle to the east and Vauxhall to the west. Starting at the Elephant, Kennington Lane splits off from the A3 by means of a Y-junction, where Newington Butts becomes Kennington Park Road. Heading in a southwesterly direction, the road then crosses the A23 Kennington Road, before reaching the Vauxhall one-way system, where the A3036 Albert Embankment and Wandsworth Road, A202 Vauxhall Bridge, Durham Street and Harleyford Road, A203 South Lambeth Road, and A3205 Nine Elms Lane all converge. Vauxhall Bridge Road runs south-east to north-west from Vauxhall Cross, over the River Thames to Victoria station. 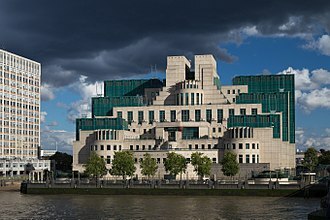 At the southernmost point the road runs past the headquarters of MI6. The section immediately after Vauxhall Bridge north of the Thames is called Bessborough Gardens and is home to the Embassy of Lithuania. Further along is the Embassy of Mauritania. ^ "Congestion Charging in London". BBC. 30 October 2006. Retrieved 29 May 2008. ^ "Now We Must Rebuild: The Greater London Plan, 1944 – Schoonheidsspecialist Harold". Haroldhill.org. Archived from the original on 7 February 2012. Retrieved 15 August 2013. ^ "SABRE – Road Lists – Roads by 10 – A501". Sabre-roads.org.uk. 13 May 2013. Retrieved 15 August 2013. ^ "Euston Road". UCL Bloomsbury Project. UCL. Retrieved 17 January 2014. ^ a b "The London Diplomatic List" (PDF). 14 December 2013. Archived from the original (PDF) on 11 December 2013. Together with the North Circular Road and Woolwich Ferry, it makes a complete ring-road around Central London. The South Circular is largely a sequence of urban streets joined together, requiring several at-grade turns, originally planned as a new-build route across South London, construction of the first section of the South Circular near Eltham began in 1921 to a high-quality specification. The remainder of the road was supposed to be of a standard but it was repeatedly delayed. The South Circular has received sustained criticism for congestion and pollution and is one of the least popular roads in Britain, the South Circular is 20.5 miles long. The majority of the road is single carriageway, one each way. It is a road for its entire length. The South Circular Road starts just south of the terminal where the A2204 Ferry Approach meets the main east-west road through Woolwich. The route continues south to the A2 at a grade separated junction—one of only two on the route—and continues southwesterly as a carriageway, crossing Eltham Road and Sidcup Road. At the junction with Burnt Ash Hill the road becomes single carriageway again. Beyond the common, the South Circular merges with the A3 London to Portsmouth road for two miles, travelling along Wandsworth High Street and passing the old Ram Brewery. The road crosses the A316 Great Chertsey Road, passing the National Archives, Kew Green and it ends at the Chiswick Roundabout, which is the junction for the M4 and the A406 North Circular Road. The South Circular Road was planned by the Ministry of Transport in the early 20th century as part of a programme of traffic improvements across London. In 1903, a proposal for new approach roads was submitted to the Royal Commission on London Traffic, the Road Board was formed in 1910 to address traffic issues, which led to the London Arterial Road Conferences in 1913–14 that revived the earlier plans. Progress was halted because of the war, but resumed in 1920, in 1925, The Times announced a replacement bridge for the Woolwich Ferry was planned as part of the South Circular project to tie in with the East Ham and Barking Bypass. Euston Road in Central London, runs from Marylebone Road to Kings Cross. The road is part of the London Inner Ring Road and forms part of the London congestion charge zone boundary, traffic increased when major railway stations, including Euston, opened in the mid-19th century and led to the roads renaming in 1857. Euston Road was widened in the 1960s to cater for the demands of motor traffic. The road contains several significant buildings including the Wellcome Library, the British Library, the road starts as a continuation of the A501, a major road through Central London, at its junction with Marylebone Road and Great Portland Street. It meets the end of Tottenham Court Road at a large junction where there is an underpass. The road ahead to Islington is Pentonville Road, the road is part of the London Inner Ring Road and on the edge of the London congestion charge zone. Drivers are not charged for travelling on the road, but may be if they turn south into the zone during its hours of operation. Kings Cross and St Pancras railway stations are at the end of the road, the British Library is nearby. The Euston Tower is a landmark on the road, the old and new headquarters of the Wellcome Trust are on its south side. From west to east the road passes Regents Park, Great Portland Street, Warren Street, Euston Square, London Bus Route 205 runs along the entire extent of Euston Road from Great Portland Street to Kings Cross. Before the 18th century, the land along which Euston Road runs was fields, Camden Town was a village retreat for Londoners working in the city. Euston Road was originally part of New Road, promoted by Charles FitzRoy, 2nd Duke of Grafton, construction began in May that year, and it was open to traffic by September. The road provided a new road for moving sheep and cattle to Smithfield Market avoiding Oxford Street and Holborn. The Capper family, who lived on the side of the proposed route, opposed its construction. Capper Street, a street off Tottenham Court Road, is named after the family. The Elephant and Castle is a major road junction in South London, England, in the London Borough of Southwark. The name is derived from a coaching inn. The Elephant, as abbreviated, consists of major traffic junctions connected by a short road called Elephant and Castle. Between these junctions, on the side, is the Elephant and Castle Shopping Centre. To the north of this, bounded by Newington Causeway and New Kent Road is the large Metro Central Heights residential block, the 43-storey Strata residential block lies just south of the shopping centre on Walworth Road. Newington Butts and Walworth Road adjoin the southern junction, the whole junction forms part of the London Inner Ring Road and part of the boundary of the London congestion charge zone. The Elephant has two linked London Underground stations, on the Northern and Bakerloo lines, and a National Rail station served by Southeastern, the Cuming Museum is nearby on Walworth Road. The name Elephant and Castle is derived from a coaching inn, the earliest surviving record of this name relating to the area appears in the Court Leet Book of the Manor of Walworth, which met at Elephant and Castle, Newington on 21 March 1765. Shakespeare mentions the Elephant Lodgings in Twelfth Night, in Act 3 Scene 3 Antonio says In the south suburbs, at the Elephant, is best to lodge. Although the play is set in Illyria in the Balkans, Shakespeare often used local London references, the theatres were all in Southwark, so Shakespeares line may represent an advertisement for a local hostelry. 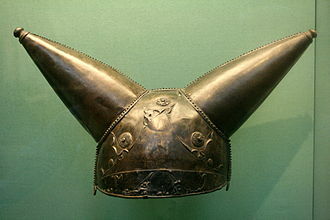 The Elephant is a common nickname for the Elephant and Castle. Newington is one of the most common names in England, and from 1750 the area became more important. Compare Angel at Islington, or Bricklayers Arms, a distance along New Kent Road. The inn site was rebuilt in 1816 and again in 1898, Eleanor of Castile was not an infanta. María has a strong British connection because she was once engaged to Charles I. Infanta de Castilla therefore seems to be a conflation of two Iberian royals separated by 300 years, Catherine of Aragon, the first wife of Henry VIII, was indeed an Infanta de Castille. She lived well into the 1500s so it is possible that the original name Elephant, known previously as Newington, in the medieval period it was part of rural Surrey, in the manor of Walworth. Bloomsbury is an area of the London Borough of Camden, between Euston Road and Holborn. It was developed by the Russell family in the 17th and 18th centuries into a residential area. It is notable for its garden squares, literary connections, and numerous cultural, Bloomsbury Square was laid out in 1660 by Thomas Wriothesley, 4th Earl of Southampton. Much of the district was planned and built by James Burton and it is home to the University of Law and New College of the Humanities. London Contemporary Dance School and the Royal Academy of Dramatic Art and are located in the area. Bloomsbury is in the constituency of Holborn and St Pancras. The western half of the district comprises Bloomsbury ward, which three councillors to Camden Borough Council. The earliest record of what would become Bloomsbury is in the 1086 Domesday Book, but it is not until 1201 that the name Bloomsbury is first noted, when William de Blemond, a Norman landowner, acquired the land. The name Bloomsbury is a development from Blemondisberi – the bury, or manor, at the end of the 14th century, Edward III acquired Blemonds manor, and passed it on to the Carthusian monks of the London Charterhouse, who kept the area mostly rural. In the 16th century with the Dissolution of the Monasteries, Henry VIII took the back into the possession of the Crown and granted it to Thomas Wriothesley. In the early 1660s, the Earl of Southampton constructed what eventually became Bloomsbury Square, the Yorkshire Grey public house on the corner of Grays Inn Road and Theobalds Road dates from 1676. The area was laid out mainly in the 18th century, largely by landowners such as Wriothesley Russell, 3rd Duke of Bedford, who built Bloomsbury Market, William de Blemond in the 13th century, a Norman, was the first landowner. Edward III acquired Blemonds manor, and passed it on to the Carthusian monks who governed it until Henry VIII granted it to the Earl of Southampton, the Russell family became landowners in the 18th century. The area lay within the parishes of St Giles in the Fields and St Georges, Bloomsbury and it is now controlled by the London Borough of Camden and part of the district is contained within the Bloomsbury ward. The district is situated in the constituency of Holborn and St Pancras. SOAS University of London, is a public research university in London, and a constituent college of the University of London. Founded in 1916, SOAS was ranked within the top 30 universities in the United Kingdom by The Guardian University Guide 2017, the School is organised into faculties of humanities and social sciences. It is home to the SOAS School of Law, SOAS offers around 350 undergraduate bachelors degree combinations, over 100 one-year masters degrees and PhD programmes in nearly every department. SOAS has produced several heads of states, government ministers, Supreme Court judges, the School of Oriental Studies was founded in 1916 at 2 Finsbury Circus, the premises of the London Institution. The school received its charter on 5 June 1916 and admitted its first students on 18 January 1917. The school was inaugurated a month on 23 February 1917 by King George V. Among those in attendance were Earl Curzon of Kedleston, formerly Viceroy of India, the School of Oriental Studies was founded by the British state as an instrument to strengthen Britains political and military presence in Asia and Africa. The school immediately became integral in training British administrators, colonial officials, Africa was added to the schools name in 1938. Its move to new premises in Bloomsbury was held up by delays in construction, with the onset of the Second World War, many University of London colleges were evacuated from London in 1939 and billeted on universities all over the provinces. The School was, on the Governments advice, transferred to Christs College, Cambridge. In 1940, when it became apparent that a return to London was possible, in 1942, the War Office joined with the schools Japanese department to help alleviate the shortage in Japanese linguists. State scholarships were offered to select grammar and public school boys to train as military translators, lodged at Dulwich College in south London, the students became affectionately known as the Dulwich boys. The courses were directed by army cryptographer, Col. John Tiltman, the SOAS School of Law was established in 1947 with Professor Vesey-Fitzgerald as its first head. 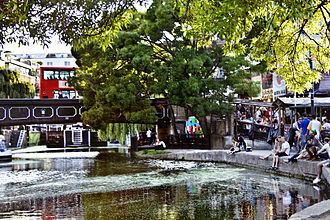 London Kings Cross is an inner city area of London, England,2.5 miles north of Charing Cross. It is the location and namesake of London Kings Cross railway station, the area was previously a village known as Battle Bridge or Battlebridge which was an ancient crossing of the River Fleet. The original name of the bridge was Broad Ford Bridge, the corruption Battle Bridge led to a tradition that this was the site of a major battle in AD60 or 61 between the Romans and the Iceni tribe led by Boudica. Lewis Spences 1937 book Boadicea – warrior queen of the Britons includes a map showing the positions of the opposing armies. The suggestion that Boudica is buried beneath platform 9 or 10 at London Kings Cross Station seems to have arisen as urban folklore since the end of World War II. The area had settled in Roman times, and a camp here, known as The Brill was erroneously attributed to Julius Caesar. The name is commemorated in two streets lying behind Kings Cross and St Pancras stations, St Pancras Old Church, set behind the stations, is said to be one of the oldest Christian sites in Britain. The current name has its origin in a monument to King George IV which stood in the area from 1830 to 1845 and it was built at the crossroads of Grays Inn Road, Pentonville Road and New Road, which became Euston Road. It was sixty feet high and topped by a statue of the king. The statue itself, which cost no more than £25, was constructed of bricks and mortar, the architect was Stephen Geary, who exhibited a model of the Kings Cross at the Royal Academy in 1830. The upper storey was used as a camera obscura while the base in turn housed a police station, the unpopular building was demolished in 1845, though the area has kept the name of Kings Cross. A structure in the form of a lighthouse was built on top of a building almost on the site about 30 years later. Known locally as the Lighthouse Building, the structure was thought to be an advertisement for Nettens Oyster Bar on the ground floor. It is a grade II listed building, London Kings Cross railway station now stands by the junction where the monument stood and took its name. The A5 London Holyhead Trunk Road is a major road in England and Wales. It runs for about 181 miles from London, England to Holyhead, the Act of Union 1800, which unified Great Britain and Ireland, gave rise to a need to improve communication links between London and Dublin. This made it the first major civilian state-funded road building project in Britain since Roman times, responsibility for establishing the new route was awarded to the famous engineer, Thomas Telford. Through England, the road took over existing turnpike roads and mainly following the route of the Anglo-Saxon Wæcelinga Stræt. From Shrewsbury and through Wales, Telfords work was more extensive, in places he followed existing roads, but he built new links, including the Menai Suspension Bridge to connect the mainland with Anglesey and the Stanley Embankment to Holy Island. Telfords road was complete with the opening of the Menai Suspension Bridge in 1826, the road was designed to allow stagecoaches and the Mail coach to carry post between London and Holyhead, and thence by mailboat to Ireland. Therefore, throughout its length the gradient never exceeds 1,17, the route through Wales retains many of the original features of Telfords road and has, since 1995, been recognised as a historic route worthy of preservation. An 18-month survey by CADW in 1998-2000 revealed that about 40% of the road and its ancillary features survives under the modern A5. The A5 number disappears near Edgware, but the Roman Road continues as the A5183 through Elstree, Radlett, St Albans and Redbourn, to junction 9 of the M1, from there, it passes through Dunstable, where it crosses and briefly multiplexes with the A505. North of Dunstable, the A5 passes through the village of Hockliffe before becoming a dual carriageway, on entering the Milton Keynes urban area, the road becomes a fully grade-separated dual carriageway and passes through Milton Keynes. This stretch was opened in 1980, replacing the route along Watling Street. From just north of Milton Keynes, the road resumes as a carriageway that continues through Towcester where it crosses the A43 dual carriageway just north of the town. The M25 or London Orbital Motorway is a 117-mile motorway that encircles almost all of Greater London, England, in the United Kingdom. An ambitious concept to build four concentric ring roads around London was first mooted in the 1960s, further widening is in progress of minor sections with plans for managed motorways in many others. To the east of London the two ends of the M25 are joined to complete a loop by the non-motorway A282 Dartford Crossing of the River Thames between Thurrock and Dartford and this crossing, which consists of twin two-lane tunnels and the four-lane QE2 bridge, is named Canterbury Way. Passage across the bridge or through the tunnels is subject to a toll, in the opposite direction, to the east of the point where the M25 diverges from the main east–west carriageway, that carriageway become the M26 motorway. The radial distance from London varies from 12.5 miles in Potters Bar to 19.5 miles in Byfleet.8 miles, major towns listed as destinations, in various counties, adjoin the M25. North Ockendon is the settlement of Greater London situated outside the M25. In 2004, following a poll, the London Assembly mooted for consultation alignment of the Greater London boundary with the M25. Inside the M25 and outside/beyond the M25 are colloquial, looser alternatives to Greater London sometimes used in haulage, the Communications Act 2003 explicitly uses the M25 as the boundary in requiring a proportion of television programmes to be made outside the London area. Two motorway service areas are on the M25, and two others are accessible from it. Those on the M25 are Clacket Lane between junctions 5 and 6 and Cobham between junctions 9 and 10 and those directly accessible from it are South Mimms off junction 23 and Thurrock off junction 31. Cobham services opened on 13 September 2012, the M25 was unlit except for sections around Heathrow, major interchanges and Junctions 23–30. By 2014 only one significant stretch was still SOX-lit and the units were removed the same year, the motorway passes through five counties. Junctions 1A–5 are in Kent, 6–14 are in Surrey, 15–16 are in Buckinghamshire, 17–25 are in Hertfordshire, policing of the road is carried out by an integrated policing group made up of the Metropolitan, Thames Valley, Kent and Surrey forces. The M25 is one of Europes busiest motorways, in 2003, a maximum of 196,000 vehicles a day were recorded on the motorway just south of London Heathrow Airport between junctions 13 and 14. A precursor of the M25 was the North Orbital Road, the idea of an orbital road around London was first proposed early in the 20th century and re-examined in Sir Charles Bresseys and Sir Edwin Lutyens The Highway Development Survey,1937. Sir Patrick Abercrombies County of London Plan,1943 and Greater London Plan,1944 proposed a series of five roads encircling the capital, the northern sections of the M25 follow a similar route to the World War II Outer London Defence Ring. Little was done to progress these plans until the 1960s when the Greater London Council developed its London Ringways plan consisting of four rings around the capital. Vauxhall is a mixed commercial and residential district of southwest London in the London Borough of Lambeth. Vauxhall formed part of Surrey until 1889 when the County of London was created, Vauxhall is 2.1 km south of Charing Cross and 1.5 km southwest of the actual centre of London at Frazier st near Lambeth North tube station. The area only became known by this name when the Vauxhall Pleasure Gardens opened as a public attraction. Initially most visitors would have approached by river, but crowds of Londoners of all came to know the area after the construction of Westminster Bridge in the 1740s. There are competing theories as to why the Russian word for a railway station is вокзал. This was further embellished into a story that the Tsar Nicholas I of Russia, visiting London in 1844, was taken to see the trains at Vauxhall and made the same mistake. The locality of the L&SWRs original railway terminus, Nine Elms Station, was shown boldly and simply as Vauxhall in the 1841 Bradshaw timetable, in 1838 a music and entertainment pavilion was constructed at the railway terminus. This pavilion was called the Vokzal in homage to the Vauxhall Pleasure Gardens in London, the name soon came to be applied to the station itself, which was the gateway that most visitors used to enter the gardens. It came to any substantial railway station building. Archdeacon William Coxe describes the place as a sort of Vauxhall in that year, there is no mention of Vauxhall in the 1086 Domesday Book. The area originally formed part of the extensive Manor of South Lambeth, falkes de Breauté acquired it in 1216 when he married Margaret, widow of Baldwin de Redvers, de Breautés lands reverted to the de Redvers family after his death in 1226. In 1293 South Lambeth Manor and the Manor of la Sale Faukes passed, probably by trickery, in 1317 King Edward II granted the manor of Vauxhall, Surrey, to Sir Roger dAmory for his good services at the Battle of Bannockburn. From various accounts, three local roads – the South Lambeth Road, Clapham Road and Wandsworth Road – were ancient and well-known routes to and from London. A ring road is a road or a series of connected roads encircling a town or city. Australia and India use the ring road, as in Melbournes Western Ring Road. In Canada the term is the most commonly used, with orbital used to a lesser extent. 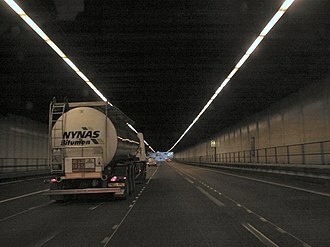 In Europe, some ring roads, particularly those of standard which are longer in length, are often known as orbital motorways. Examples include the London Orbital, Rome Orbital and Manchester Orbital, in the United States, many ring roads are called beltlines, beltways, or loops, such as the Capital Beltway around Washington, D. C. Some ring roads, such as Washingtons Capital Beltway, use Inner Loop and Outer Loop terminology for directions of travel, the term ring road is occasionally – and inaccurately – used interchangeably with the term bypass. Construction of fully circumferential ring roads has generally occurred more recently, beginning in the 1960s in many areas, Interstate Highway System and similar-quality roads elsewhere were designed. Columbus, Ohio, in the United States, has two, while Houston, Texas will have three official ring roads, some cities have far more – Beijing, for example, has five ring roads, simply numbered in increasing order from the city center. Geographical constraints can complicate or prohibit the construction of a ring road. Adjacency of international boundaries may prohibit ring road completion in other cases, the presence of significant natural or historical areas limits route options, as for the long-proposed Outer Beltway around Washington, D. C. C. Ring roads can exist around radio masts carrying an umbrella antenna at the basements of the anchor of the wire of the umbrella antenna, such ring roads are usually only for internal use and closed to the public. Most orbital motorways are purpose-built major highways around a town or city, in the United States, beltways are commonly parts of the Interstate Highway System. Similar roads in the United Kingdom are often called orbital motorways, an excellent example of this is Londons North Circular/South Circular ring road. Such loops not only function as a bypass for through traffic, in the United States, an Interstate highway loop is usually designated by a three-digit number beginning with an even digit before the two-digit number of its parent interstate. Kings Cross Thameslink station is a closed railway station in central London, which served the Thameslink route. 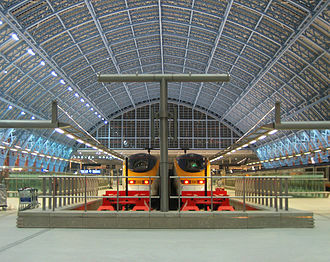 It was replaced by new Thameslink platforms at St Pancras in December 2007, the last operator of the station was First Capital Connect. The site is on Pentonville Road, about 160 yards from Kings Cross station, the station occupied part of the original site of the Metropolitan Railways 1863 Kings Cross station. Its original street buildings were a further west than the station frontage and, though in poor repair. 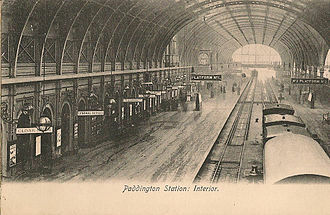 A similar situation exists at Waterloo East station, an annexe of London Waterloo, in 1863 the Metropolitan Railway opened a line from Paddington to Farringdon, the worlds first underground railway. The City Widened Lines project, completed in 1868 built quadruple track from Kings Cross to Moorgate, in 1940 Metropolitan Railway services ceased to call at the station due to bomb damage. Todays sub-surface underground platforms, further west, were opened in March 1941, in 1983 the station reopened as Kings Cross Midland City, and in May 1988 it was renamed Kings Cross Thameslink. The station was replaced in 2007 because of substandard platform widths and lengths, lack of access, lack of easily accessible fire escape routes. The cost of upgrading the station to modern standards would have been in excess of £60 million and it would have caused serious disruption to the nearby Circle/Hammersmith & City/Metropolitan LUL lines and nearby roads. In February 2006, the government announced funding of £63 million so that work to complete a new Thameslink station at St Pancras could start that summer. The last train, the 23,59 from Haywards Heath, from 9 December 2007, Thameslink services started to call at new platforms built beneath the main station complex at St Pancras. These are able to handle 12-car trains and will have sufficient capacity to serve the Thameslink Programme route and they have better pedestrian links to the main line platforms at both St Pancras and Kings Cross. The foot tunnel from Kings Cross St. St Pancras International station First Capital Connect Thameslink Thameslink Trains London Underground Kings Cross railway station Kings Cross Thameslink, archived from the original on 1 February 2014. Street markings and signs with the white-on-red C alert drivers entering the charge zone at Tower Hill. Traffic congestion on the Brompton Road outside Harrods (part of the A4). This road was part of the extended congestion charge zone. The Leeds Inner Ring Road in England was built in a series of tunnels to save space and avoid physically separating the city's centre from its suburbs. View from the western end of New Kent Road looking northwest towards Metro Central Heights, designed by Ernő Goldfinger in the 1960s. Construction of the new leisure centre and 'One The Elephant' residential tower, in March 2014. The Strata SE1 tower, completed in 2010, is seen in the background, with Victorian terraced houses in the foreground. The Vauxhall Cross transport interchange, 2005. The solar panels supply energy for 60% of the bus station's lighting. Victoria bus station, outside Victoria railway station in 2007, with three bendy buses loading up. (This is not to be confused with Victoria Coach Station). Looking north on Park Lane. Hyde Park is to the left; the Grosvenor House Hotel to the right. 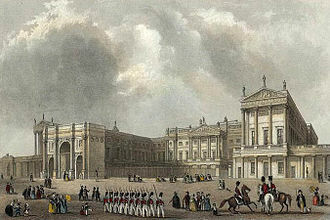 The facade to Grosvenor House viewed from Park Lane in the early 19th century. The Grosvenor House Hotel now occupies this location. The Dorchester opened in 1931 and retains its Art Deco style. Shoot-up Hill, one of several names for Edgware Road. The New Hospital for Women, No. 144 Euston Road around the late 19th century. At the time it was the only hospital to be exclusively staffed by women. The M25 motorway looking south between junctions 14 and 15, near Heathrow Airport. The red light from the overhead gantry, just visible in the distance, is the MIDAS system indicating a reduced speed limit due to congestion. 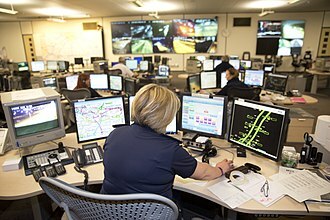 A control room for the M25 J5-7 Smart Motorways scheme, 2014. Kings Cross Post Office in Kings Cross, London. The Lighthouse Block, at Nos. 295–297 Pentonville Road, is named after the distinctive structure at the top of the building. The Scala was previously the King's Cross Cinema, established on Pentonville Road in 1920. The Church of Christ the King, Bloomsbury was built in 1850. The historic seat of the Royal Historical Society. The Main Building of University College London. The Queen Elizabeth II Great Court. Plan of King's Cross in 1888. Originally there was only one arrival and one departure platform. Plaque near Southwark Bridge noting the activities around the time of King Alfred. 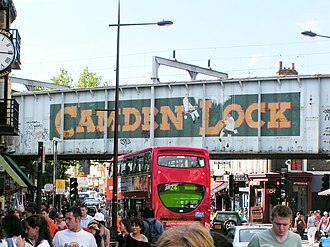 Former Camden Town market (2011); was demolished in early 2015 to make room for the Hawley Wharf redevelopment project. During World War II, the dice in the United Kingdom were replaced with a spinner because of a lack of materials. In Bounds Green, the North Circular Road is reduced to single carriageway with a 90 degree turn at traffic lights, and it is one of the most congested roads in London. Since 1951, the North Circular has been subject to speed limits along its route; these are now enforced with speed cameras. The South Circular Road near Catford suffers from regular traffic congestion, despite being a red route. 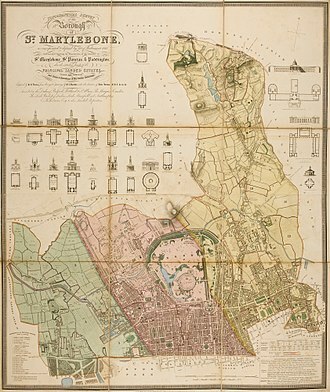 Topographical survey of St. Marylebone, St. Pancras and Paddington. Engraving by B.R. Davies, 1145 x 950mm, dated 1834.